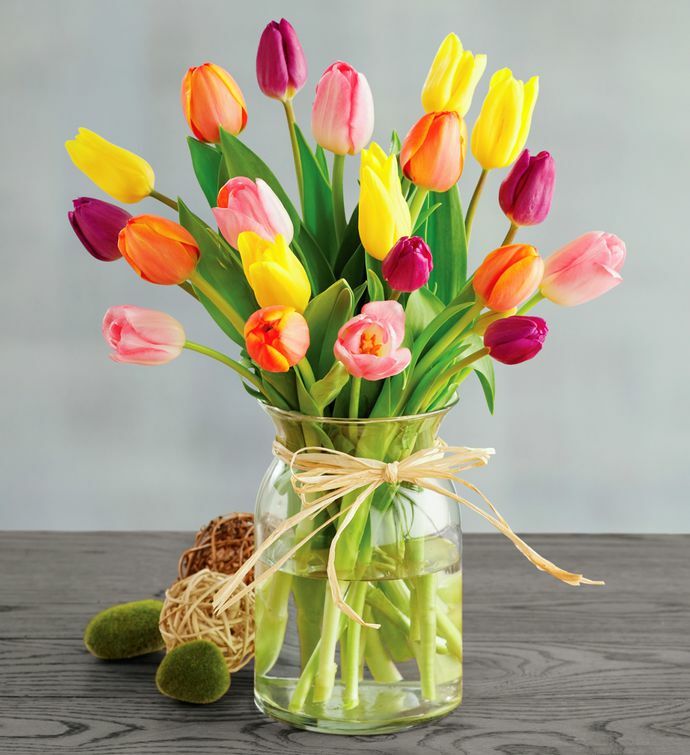 Celebrate the turning of the season with an American-grown tulip bouquet featuring the warm and welcoming colors of spring. Twenty tulips arrive tied with a gorgeous raffia bow and are presented in a glass vase made in the U.S.A. The tulips will brighten any room and make a delightful display on a coffee table.